2019 – The dates are set for the 2019 Corduroy Enduro – Friday September 20, Saturday September 21 and Sunday September 22! Pro, Expet and Sportsman classes on Friday. Sportsman class is open to any non Pro wishing to ride Friday. 2018 Promation Corduroy Enduro® – Presented by GP Bikes ………Canada’s Toughest Race! 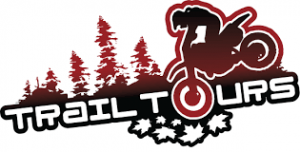 September 22nd and 23rd, 2018, Hosted by the Corduroy Enduro Riders, Round 3 and 4 of the Off-Road Ontario Enduro Series and Round 3 and 4 of the National Enduro Series! Headquarters: Gooderham Community Centre 1043 Community Centre Road, Gooderham, Ontario 250m South of HWY 503 & HWY 507. Entry Fee and Registration: PRE ENTRY ONLY: $155 (2 day event – includes event t-shirt) $80 (one day event) $100 for second family member living at the same address (either spouse or child). Pre entry opens June 1st @ 12:00 noon. Pre-Registration is being held on the LIVELAPS.COM registration system (click on the LiveLaps.com logo below to register). You must have a FREE LiveLaps account to be able to enter the event. Click HERE for a complete tutorial on how to sign up for your account, you will only ever have to do this once. GP Bikes is offering a $200 gift certificate to be awarded to one lucky person who registers to race, in the Corduroy Enduro, during the first week of open entry (from June 1st to June 7th) – Draw to be made on June 8th. Eligibility: All riders must possess a valid drivers license. Motorcycles do not have to be street legal. Off-road registration for your state or province is required. Minimum age is 16, any riders under age 18 must have a waiver signed by BOTH parents/guardians. Off-Road Ontario or FMSQ membership required for Ontario residents – BRING YOUR CARD!!! Classes: AMATEUR riders will ride the entire course. PRO and EXPERT riders will have extra sections of trail. WOMEN B and VINTAGE riders will run a shortened course on both Saturday and Sunday (approximately 80 to 100 km each day). All ‘C’ classes will ride the same course as WOMEN B and VINTAGE. Start Times: Saturday 09:00 am – Sunday 09:00 am – Pro, Expert and Vet AA classes will start first followed by the amateur classes. OFTR Sound Test: Friday September 21st at 6:00-9:00 pm and Saturday September 22nd at 7:00-9:00 am at Gooderham. Bikes must be sound tested before riders can register. A maximum 94db will be strictly enforced. We will not lose our trails because of unnecessarily loud motorcycles. Mandatory Riders Meeting: Saturday and Sunday at 8:30 am – Make sure you attend! In addition to the above mandatory riders meetings, there will be an in depth riders meeting on Friday night at 8:00 in which riders are invited to ask questions. The Course: The course is made up of approximately 150 km of trail and 8 timed tests each day including a final MX test on Sunday. No Time Keeping. 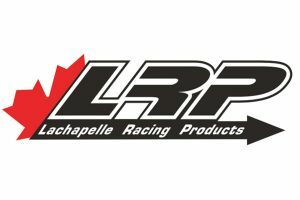 Complete rules available at www.offroadontario.ca. Parc Ferme (Motorcycle Impound): All competition motorcycles will be impounded on Saturday night. There will be a 15 min work period prior to the impound on Saturday night and another 15 min work period for riders prior to their assigned start time on Sunday morning. A security guard will be on duty all night to ensure that the motorcycles are secure from theft and tampering (for additional information go to the Supplementary Rules page). Special Tests: MX and/or Extreme test courses will be laid out and marked ahead of time so that riders may walk them if they wish. Directions to the special test areas will be available at the Gooderham Community Centre. Corduroy Enduro – Vintage GP (Friday, Sept 21st) – $50.00 Course – Approximately 60km with 3 timed tests. V Class- no single shock, no liquid cooling, no disc brakes. V1 Class- the machine can have one of the above attributes. V2 Class– the machine can have two of the above attributes. V100 Class– the age of the rider and the machine add up to more than 100. Corduroy Enduro – Vintage Bike Show (Saturday, September 22nd) – No Charge Riding or not, show off your vintage Enduro, Trials or MX bike in one of three categories: Best Restored, Best as Ridden, or Best Machine with Corduroy Experience. Corduroy Enduro Awards: Corduroy trophies will only be awarded on Sunday afternoon based on total score for 2 days. Every rider who completes the entire event will receive a finisher’s medal. Gas trucks: Gas trucks will be provided both days, be sure to bring 3 gas cans with your name marked clearly on them. Spectator Viewing Areas and Start Locations: Directions will be available at the Gooderham Community Centre and on line closer to the actual event. Accommodations: Camping is permitted at the Gooderham Community Centre, near the event start area (no hook ups available), or please search online for local rental cottages and other accommodations (www.highlandseast.ca). A $10 fee will be charged per vehicle accessing the parking / camping areas. Meals: There will be food available for purchase for each day of the event, make sure to buy your meal tickets early to avoid disappointment. Purchase tickets on-line in advance here: Also there will be a food truck on location Friday, Saturday and Sunday. Corduroy Lounge: Join us on Friday and Saturday nights in our new Corduroy Lounge for live rider interviews, past Corduroy Enduro videos, great music, or just chill out at the fire pit. 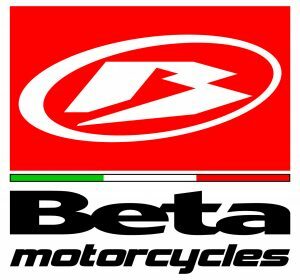 Demo Rides: Thanks to our motorcycle sponsors, you have the opportunity of trying out the newest bike models on Friday and Saturday afternoons.